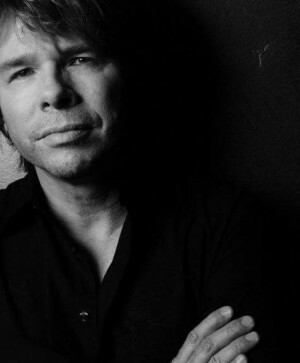 Songwriter and recording artist James House co-wrote Grammy Nominated Country Song of the year “Ain’t That Lonely Yet” (Dwight Yoakum) and CMA Nominated Song of the Year “A Broken Wing” (Martina McBride), along with Diamond Rio’s number 1 smash “In a Week Or Two.” Two of the songs have been awarded the 1 million airplay award byBMI and “Broken Wing” just passed the 2 million airplay mark. Other artists to record his songs are Tina Turner, Olivia Newton John, Rod Stewart, Steve Holy, Sara Evans, The Warren Brothers, Steve Azar, Lori Morgan, The Mavericks, Craig Morgan, Rita Coolidge, Kyle Minogue, and Beth Hart. Recently, James has been writing with blues guitar legend Joe Bonamassa for his new record. Born in Sacramento, California, and raised there and on the family ranch in Southern Oregon, James grew up in a musical family that ranched cattle and grew alfalfa during the day and jammed together on the front porch at night. Just out of high school in Sacramento, he started performing as a solo acoustic act and then formed his own group, the House Band, which played up and down the west coast eventually landing a record deal with Warner/Curb. The band was renamed Prisoner. James and the band moved to Los Angeles and went on to release one single before disbanding. “Those were fun times,” says James. “The label flew us to Muscle Shoals just to record the demos for the album.” While living in LA James lent his vocals on many feature film soundtracks, including “Teen Wolf” “Fire with Fire,” Ishtar” and “Tin Cup,” and recorded his first solo album for Atlantic Records with producer Gary Katz (of Steely Dan fame). In 2012, James co-wrote The Mavericks first single with Raul Malo for their new Valory Records CD. James also wrote two songs and sang harmony on the latest Bonnie Tyler CD. The following year, in 2013, James started the new indie label Victor House Records. Label releases in 2014 included AV Super Sunshine, Troubadour Kings, and James House’s own Broken Glass Twisted Steel, featuring newly recorded versions of the #1 hits he’s written for other artists. The CD includes “Ain’t that Lonely Yet,” “A Broken Wing,” “In a Week or Two,” and more. Broken Glass Twisted Steel was released April 2014 in the US and July 2014 in the UK to rave reviews. James followed that release with a 19-city, sold-out show tour in the UK. He also made his Grand Ole Opry debut the same week as the US album release and was asked to return for an August performance. Both shows were met with huge fan reaction to his return and new music. In March of 2015, James released Songwriters Serenade, his follow-up album on Victor House Records. It features 10 songs that James co-wrote with some of the most successful songwriters in country music history. James also sings a duet with newcomer Natalie Noone, daughter of famed founder of the Herman’s Hermits, Peter Noone. He will follow-up the release with a return tour to the UK where he will be a featured writer at the 2015 Belfast Nashville Songwriters Festival, play more than 20 theater and club dates, and headline a major country music festival in Scotland in April.